This ElecFreaks Ring:bit Car package was developed by ElecFreaks with minor assistance from Tinkercademy. 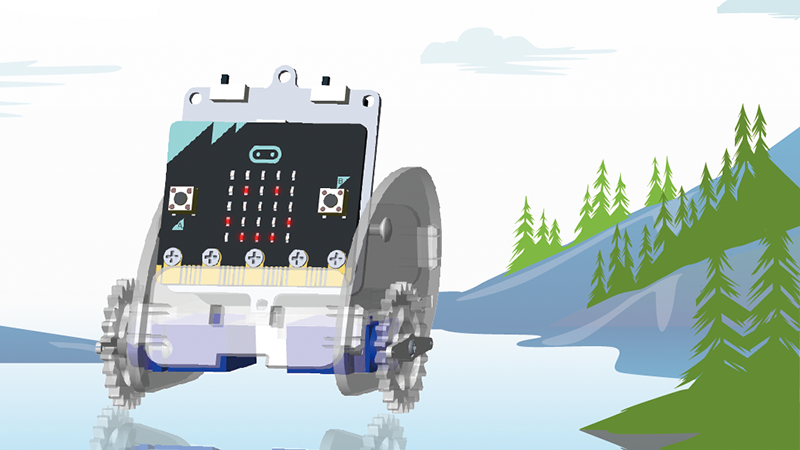 Ring:bit Car is a DIY smart car which is based on BBC micro:bit and ELECFREAKS ring:bit. Ring:bit has extended 3 channels of GPIO, among which 2 channels are used for driving servos and one channel of GPIO is undefined. The basic version of ring:bit car can realize functions like road design, wireless remote control, graphic drawing etc.. By increasing other sensors' extension, this car can also realize functions line follow, light tracking, barrier avoidance and so on. How to add ring:bit car package? 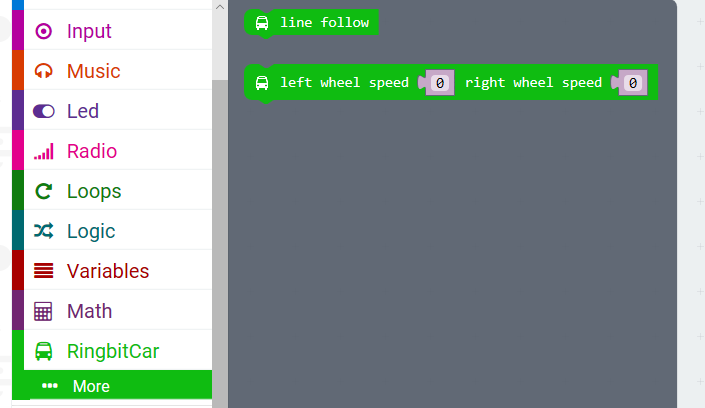 Click Add Package and then search for ringbit so that you can add ring:bit car package. Initialize the pins of left and right servos. 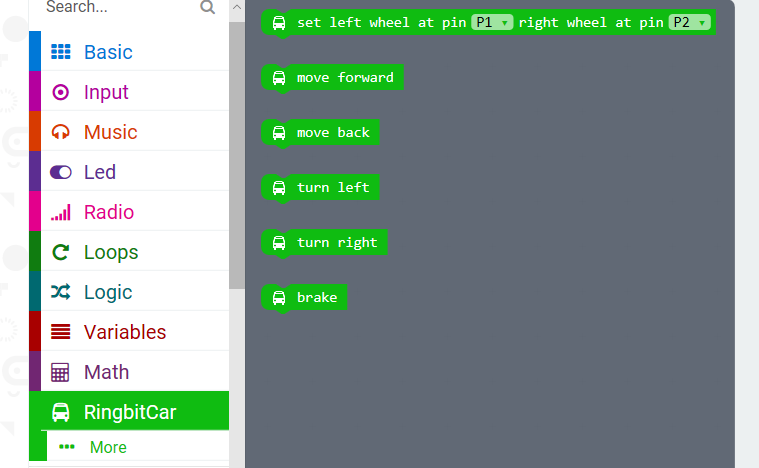 By default, connect the left servo to P1 and the right servo to P2. Note: The direction of left or right all depends on the driver's view . The two wheels move forward at full speed. The two wheels move backward at full speed.